We’d love your help. Let us know what’s wrong with this preview of Super Cheap Japan by Matthew Baxter. Super Cheap Japan is the ultimate budget travel guide to Japan, full of the most useful, up-to-date information for a cheap holiday in Japan. With extensive tax-free shopping, crazily discounted train passes and an unbelievable exchange rate, there has never been a better time to visit. 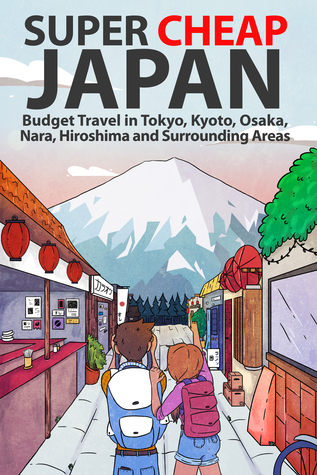 Unlike other guides, this book shows you exactly how, where and when you can save money Super Cheap Japan is the ultimate budget travel guide to Japan, full of the most useful, up-to-date information for a cheap holiday in Japan. With extensive tax-free shopping, crazily discounted train passes and an unbelievable exchange rate, there has never been a better time to visit. Unlike other guides, this book shows you exactly how, where and when you can save money. Go shopping for $4 clothes in Tokyo, enjoy inexpensive hikes in Nikko, or visit Kyoto’s beautiful shrines and gardens on the cheap; all with this super helpful guide. To ask other readers questions about Super Cheap Japan, please sign up. Which city or area in Japan would you like me to write my next budget travel book about? Good description of areas with maps.